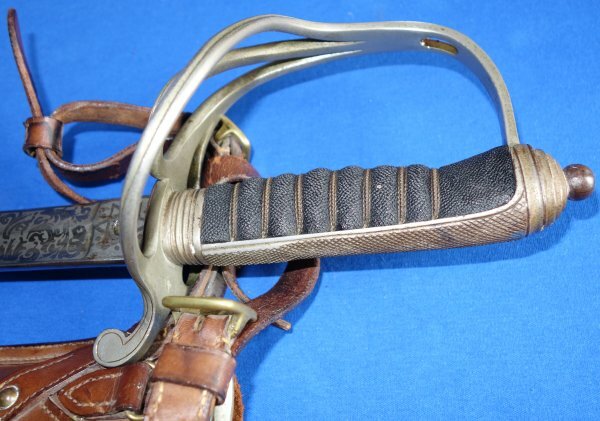 In good to very good condition, a 1938 presentation sword to Regimental Sergeant Major Robert Harry Pilbeam of the 25th Field Brigade of the Royal Artillery upon his promotion. Nice sword in that this (then) officer served in both world wars and rose through the ranks from gunner to Major; Robert Harry Pilbeam. The 33 7/8 inch blade is well etched and in very good order, a little rubbing, etc. Interesting in that it was period sharpened (without detriment to the etching). 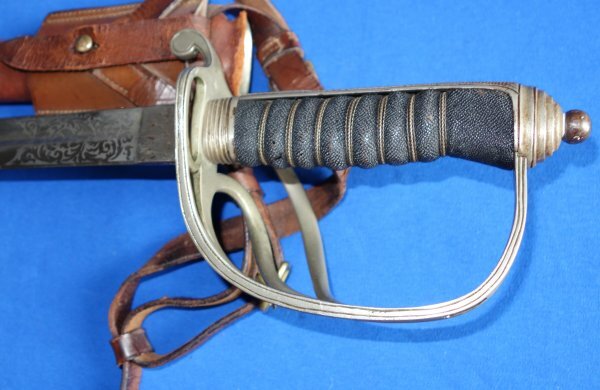 No maker's / retailer's mark, so likely it was bought from a retailer / outfitter and either the retailer had no arrangement with the maker to have their name etched to the blade or, more likely, that the sergeants who bought it asked for the forte / ricasso to be left blank. Blade firm in the hilt. The hilt generally good but with tarnish. The grip in good order. The scabbard worn and aged but still good. The sword sheathes and draws well but can be a little fussy when first inserting the blade. 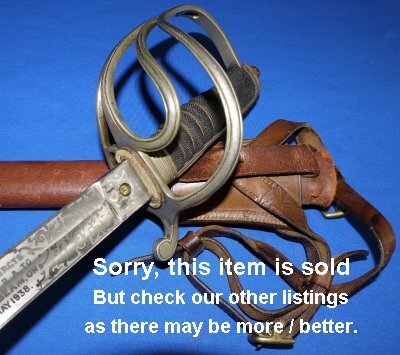 A well above average condition quality sword with provenance! A great buy at £? (too late, now sold). Please quote item reference AA89 (0075). Further / large images available upon request.